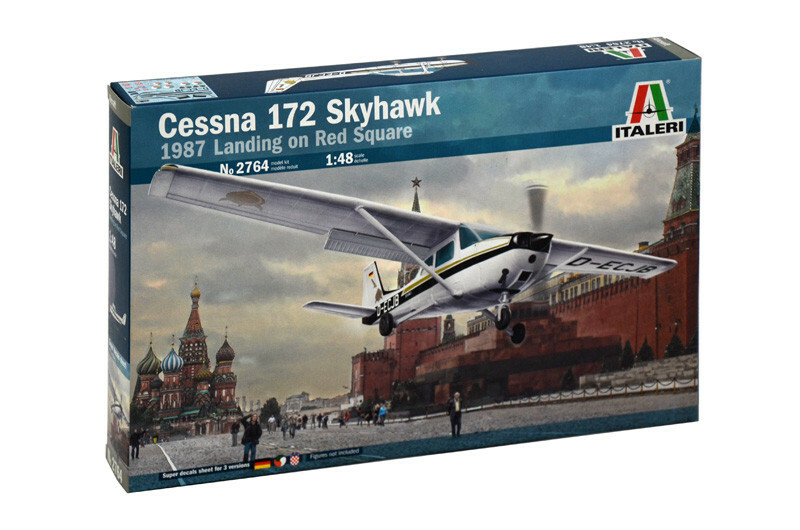 The single-engine fixed-wing Cessna 172 Skyhawk is a real milestone of the civil and commercial aviation history. It has been developed during the ‘50s and it is characterized either for its extraordinary longevity or for the incredible commercial success with more than 43,000 units produced. The "Skyhawk" is a single-engine four-seater high-wing plane and is used both as light commercial aircraft and as training plane. Characterized by its simple design based on the high wing and the frontal tricycle landing gear, it is able to reach the cruiser speed of 230 Km/h and to carry on board one pilot and three passengers A curiosity: on May 1987 the Skyhawk has been used by a young German pilot to fly an unauthorized flight from Helsinki through Soviet airspace and to land close to Red Square in Moscow.